Beyond 34: Recycling and Recovery for A New Economy is a first-of-its kind multi-stakeholder pilot project aimed at increasing the current 34% recycling rate in the United States by providing a scalable model for improving recycling and recovery rates. The goal of the project is to help communities, cities, and businesses across the country create a more sustainable future. Orlando, Florida was chosen to serve as the pilot city to kickstart Beyond 34. Since launch, the Beyond 34 partners have worked together to build a strong foundation that will help Orlando become more sustainable. Through this process, local champions emerged. The local champions are a group of Orlando region stakeholders that have volunteered to set in place a vision for the future state of recycling in the Orlando region and to work with the Beyond 34 program leads, as well as other local stakeholders to devise and implement projects to work towards that vision. Thierry Boveri, Associate, Public Resources Management Group Inc.
Thierry “Terry” Boveri is an Associate with Public Resources Management Group Inc. (PRMG), a firm specializing in utility and solid waste rate, financial and management consultancy to local governments and municipalities. 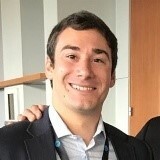 Through his experience in performing various economic, financial and rate evaluations for local governments in Florida and Virginia, Thierry hopes to share his understanding and insights about the municipal solid waste business and industry to advance the B34 vision. 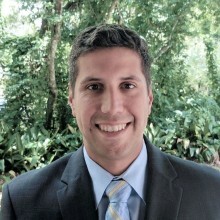 Chris is currently the Senior Advisor to Mayor Buddy Dyer, Director of Sustainability, and Co-chair of Smart Cities for the City of Orlando, developing partnerships, policies, and programs to support the sustainability, clean energy, & climate resilience goals of Mayor Buddy Dyer's Green Works Orlando initiative. In 2008, Chris co-founded IDEAS For Us, an international 501c3 nonprofit & UN-accredited NGO, working to incubate global environmental solutions and fund local action that advances the UN Sustainable Development Goals. In 2013, he helped co-create "Fleet Farming", a renowned urban farming program that is redefining local food systems by building distributed organic farms on homeowner lawns through neighborhoods and communities in the U.S. Chris also co-founded a clean energy consulting firm, Citizen Energy, in 2012 that provides custom energy efficiency & renewable energy solutions as a service for commercial buildings in the Washington DC Metro area. David is a solid waste section manager with Orange County Utilities. 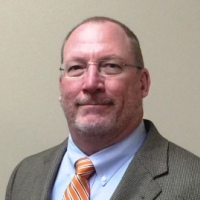 He applies more than 30 years’ experience gained as a Florida public-sector manager and a nationwide consultant to advance Orange County’s sustainable materials management programs. Judith-Ann is a former Air Traffic Control Officer in the Royal Canadian Air Force, where she gained experience in numerous aspects of airport operations, leadership & academic training, and management facilitation. After retiring from the military, Judith-Ann worked as an ATC consultant, and later as an airport environmental consultant. 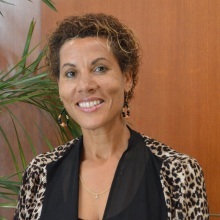 Judith-Ann has been employed as the Manager of Noise Abatement and Sustainability for the Greater Orlando Aviation Authority since early 2015. Judith-Ann graduated from Carleton University with an Honours Bachelor of Integrated Sciences (Geology/Earth Sciences), and holds a Master’s degree in Aviation and Aerospace Operations from Embry-Riddle Aeronautical University. Judith-Ann is a member of the Central Florida Chapter of Women in Aviation International, the Metropolitan Environmental Training Alliance (Central FL), and the Central Florida Girl Scouts Citrus Council. 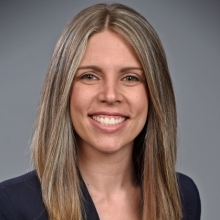 With over 10 years of experience as a Chamber professional, Amanda O’Brien is currently serving as the Interim Executive Director and Director of Membership for the Orlando Regional Chamber of Commerce, a division of the Orlando Economic Partnership. As a Five-Star Chamber, the Orlando Regional Chamber of Commerce is positioned to serve the growing needs of businesses and entrepreneurs in seven Central Florida counties. Amanda looks forward to helping advance Orlando’s sustainability efforts by educating and engaging the Orlando business community in the Beyond 34 project. With more than 25 years of hospitality industry leadership experience, Angie has held numerous leadership positions throughout Disney Parks and Resorts in all Operating Lines of Business, Organizational Development and Environmental Sustainability. She served as the project lead developing and updating Disney’s world- renowned service standards and helped launch and deliver the Disney Company's first environmental strategy. Angie has been in her current role, overseeing Walt Disney Parks and Resorts worldwide environmental strategies since 2010 which includes Walt Disney World, Disney Cruise line, Disneyland California, Disneyland Paris, Hong Kong Disneyland, and Shanghai Disney. In addition, she leads the development and delivery of the publically announced Disney Company Environmental Targets. Angie holds an MBA from Crummer Graduate School, Executive Education in Sustainability from Yale University, Certificate in Circular Economy from Arizona State University and currently acquiring a Certificate in Sustainability and Behavior Change from University of California. Along with participating in many sustainability forums, she is part of the Conference Board Sustainability Council and the National Restaurant Association’s Sustainability Professionals. She received the President of the U.S. Volunteer Award, for the past five years, for her work supporting education and youth programs and was recognized with the American Zoos and Aquariums Outstanding Volunteer Award for three years in a row. Alexa Stone founded ecoPreserve in 2009 with a mission to help organizations improve operational efficiency, reduce costs, and achieve sustainability. Alexa also advocates for Smart Cities initiatives at the local and global level. A speaker and educator, Alexa and her organization are known for their ability to affect long-term cultural change through data driven planning, policy development and implementation. As community leader, Alexa is a founding member of the Central Florida Energy Efficiency Alliance and Green Destination Orlando, a 501(c)3 certified nonprofit. She currently serves on the Board of Directors for the Florida Green Chamber. Previously she served as a Board Director for the US Green Building Council (USGBC) and the International Facilities Management Association (IFMA). Alexa chaired the Green Committee for the Building Owners and Managers Association (BOMA) and serves as a judge for Orange County Public Schools Green Schools Recognition Program.